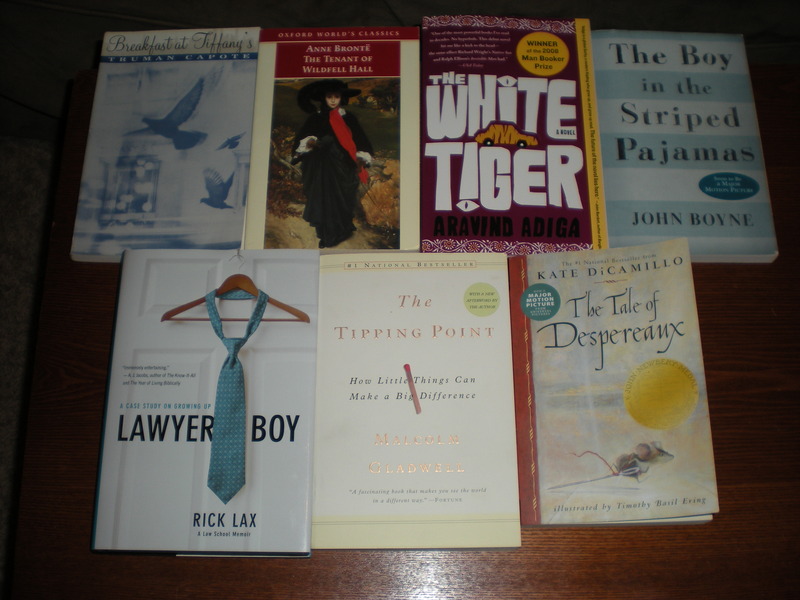 February 2009 – my books. my life. I had to use the annoying pictures that I can never format right since two of the books have since been returned to the library. My goal was to read 5 to make up for the 3 I read in January, but I’m okay with 4. I’m still basically on track to read 48 books this year. Plus, February was a short month, right? We are still in the process of creating our catalog but so far I’ve only read about 25% of our books. Now, some of these books are Ben’s and I will never read them, but I still think that I should be bringing less books into my home until some more of the existing ones are read. Or at least try to keep my net books read percentage the same by reading at least as many as I get.